Do you want to be in a room with 200-300 Irish SME owners celebrating the work that they do? Do you want to be associated online with an event that shows off the best in Irish business in an inclusive and informal way? Have you ever been to an event where us adults are encouraged to unwind and have as much fun as kids at parties? 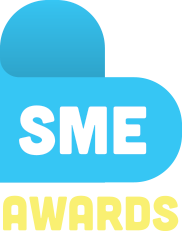 What are the SME Awards? The SME Awards are an informal business awards ceremony that will take place on April 22nd in Cork. The Awards have the same structure and pace as the Web Awards and the Social Media Awards, two very successful awards shows run yearly by Mulley Communications. Any SME can enter the awards for free. The public are involved in judging. Sponsors can’t be nominated in any category and can’t influence judging. The costs to come along to the ceremony are not prohibitive and tuxes are not required. €50 early bird tickets. We expect 200-300 people that work in/with SMEs to come along to our event. For many businesses, this will be their first time being recognised for the work they do. Is it not another awards show in a sea of hundreds more? Not really. We ourselves are a small business and we work with SMEs daily. We know the stresses, the joys and the high you can get from running your own business. There are so many amazing stories of business people going above and beyond to help their staff, their community and fellow businesses and we’re putting together an event that will bring attention to this. We don’t think other awards shows are doing this. This is why we are using #LoveSMEs in our branding and why we hope that our awards will get SME owners and their customers to take pride in Irish SMEs long after the ceremony has ended. The event is relaxed and informal and so there will not be a sit down dinner and it will not be black tie. Finger food will be provided at the beginning and end of the ceremony. It is hoped there will be plenty of time for networking. Rick O’Shea is the MC. This may be the only night out for the SMEs so it needs to be valuable from a contacts and an unwinding point of view. There is room in the hotel for stands for some sponsors as well as invited local companies. A pre-event networking workshop is envisaged for either finalists or those checking in early and we are doing to try and provide business speakers. A post-event (one month down the line) Winners’ Lunch could be organised too. We didn’t want to call this section “What sponsors get” as in a way it’s a listing of what you don’t get as a sponsor. What has marked out our other events is the integrity of the awards. We are not a “Sponsors win prizes” type event. A sponsor will have their name and logo on our website and a link to their business. Their name will be called out next to the category they are sponsoring. Their name/logo will show up in the backdrops of all winner photos. They will have their photo taken on the night with the winner and their trophy. Category sponsors get 5 tickets to the event and headline sponsors get 10 tickets. Sponsors can’t enter any category in the awards show. They can’t nominate judges or decide on the criteria. Headline sponsorship is now taken, category sponsors are welcome. You can contact sponsorship@mulley.ie if you have any questions.